Equally comfortable on the podium with the orchestra on stage or conducting from the pit, Maestro Waldrop has been hailed for his ‘dynamic conducting’ and has been praised in cities all over the US and abroad. Broadway Music Director, Conductor and Pianist, William Waldrop, recently finished a highly celebrated run as Music Director and Conductor of the Broadway revival of Andrew Lloyd Webber’s Cats at the Neil Simon Theatre in New York City. His most recent symphonic engagements include concerts with the Fort Worth Symphony Orchestra, The Florida Orchestra, the Tucson Symphony Orchestra and the Long Beach Symphony. Equally comfortable on the podium with the orchestra on stage or conducting from the pit, Maestro Waldrop has been hailed for his ‘dynamic conducting’ and has been praised in cities all over the US and abroad. Waldrop has conducted productions of Lloyd Webber’s The Phantom of the Opera in Las Vegas, Los Angeles and Pittsburgh (National Tour) as well as in Germany where he was the Associate Musical Supervisor for a production in Oberhausen in 2015. Waldrop most recently served as Musical Supervisor for a new production in Copenhagen, which premiered in September of 2018. In 2014, he completed a 30-city tour as the Music Director and Conductor of the revival of Evita. Waldrop conducted the Kennedy Center Opera House Orchestra in Washington, D.C. for the tour’s final performances. Prior to leading the very successful national tour, he was the Associate Conductor for the Broadway production starring Ricky Martin, Elena Roger and Michael Cerveris. William has played or conducted in the pits of other Broadway shows including Rodgers and Hammerstein’s Cinderella, On The Town and Fiddler on The Roof. As a music director, conductor and pianist, he has led chamber ensemble productions of Grey Gardens (Bay Street Theatre, starring Betty Buckley) South Pacific (Asolo Repertory Theatre) and A Tree Grows In Brooklyn (Off-Broadway). His recent and upcoming cabaret engagements include concerts with Broadway’s Christiane Noll at TheaterWorks Hartford (June, 2018) and Feinstein’s at the Nikko (December, 2018). As a composer, William recently premiered his brand new solo concert Still, and Still Moving: The Music of William Waldrop at New York City’s famed Metropolitan Room. William’s music has also been heard in other popular NYC venues such as Birdland, The Laurie Beechman Theatre and New World Stages. An accomplished vocal coach, William accompanies and advises many star clients performing in current Broadway productions such as The Phantom of the Opera and Wicked. Also an active educator, he leads regular master classes throughout New York City for such groups as The Growing Studio, Broadway Classroom, Broadway in Motion and Broadway Workshop. 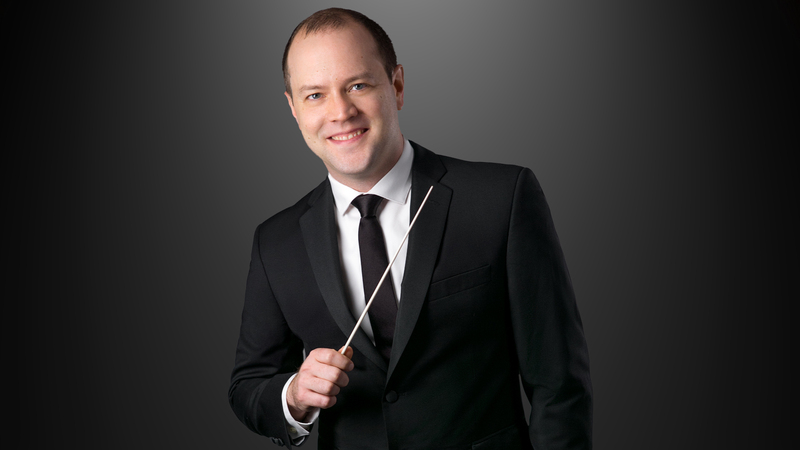 Waldrop’s extensive experience on Broadway as both a conductor and pianist in today’s most popular hits and his love of the American Songbook have made him a sought after conductor and one of the best and brightest new faces on the symphonic pops stage today. William received his Master’s of Music degree from The Peabody Conservatory of Music and his Bachelor’s of Music degree from The University of Mississippi.